This structure was the first brick commercial building built in 1912 after a 1909 fire destroyed all of the downtown wooden buildings. 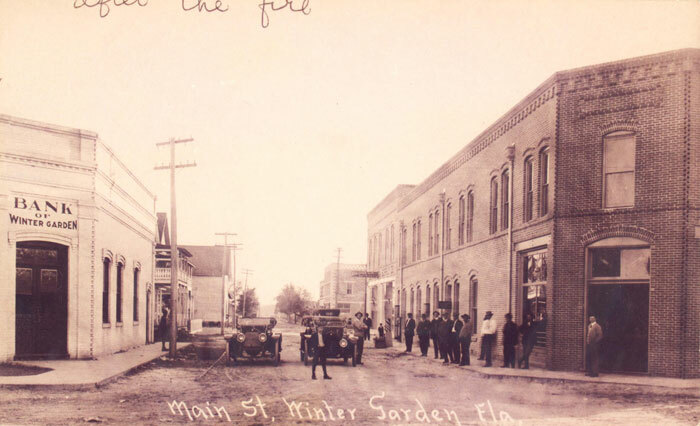 It was built by James L. Dillard and Benjamin T. Boyd, both of whom served on Winter Garden’s first City Commission. 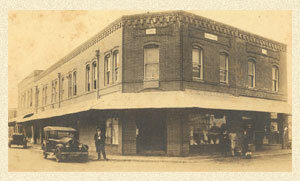 Originally, it housed a bakery operated by Albert E. Jones and a real estate company operated by Dillard. Lewis L. Kenneday opened the first Winter Garden theater in the second floor of the building about 1913. It operated until 1917, when it was replaced by the Lyric Theater. 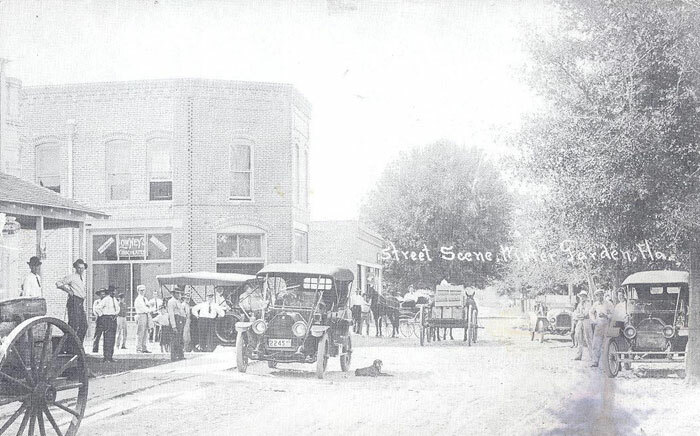 In the 1920s, A.D. Mims, later a county commissioner, operated a barbershop along the Main Street storefront. A barber by the name Allen Bland occupied the space later. Eighteen boarding rooms were available on the second floor after the theater closed. 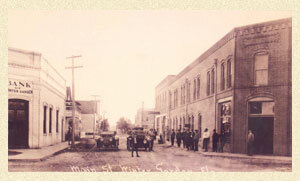 Various other businesses, such as the Mann & Mills Dry Goods Store, Leader Department Store, the Winter Garden Pharmacy, Tibbals-Rexall Drugs, J.S. 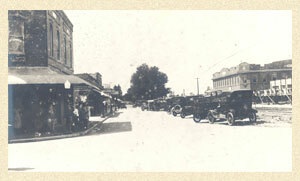 Reddick’s Meat Market and a beer parlor occupied the building at other times. 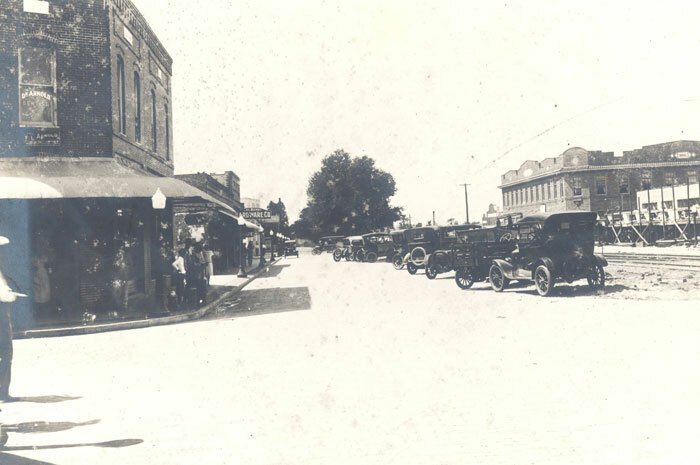 Before the city was named Winter Garden, this area south of Lake Apopka was commonly referred to as South Apopka. 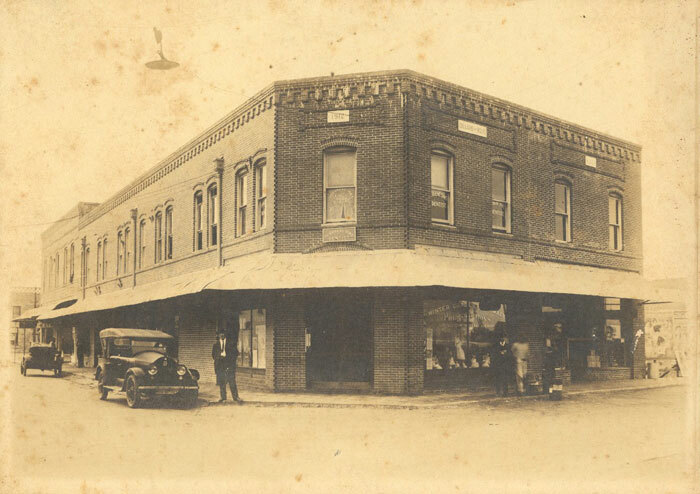 This building, constructed c.1915, originally contained a farm equipment and supply store known as South Apopka Supply Company. 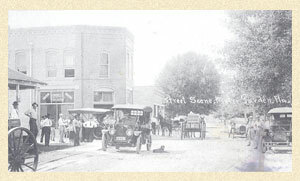 Later, the structure contained a variety of businesses. The second story once served as a boardinghouse. William’s Department store, owned by William Berkowitz, occupied the building at one time. Earl Wayne Ewing operated a real estate business here as well. A fire in 1979 caused significant damage to the building. In 2011, The Bond Foundation, Inc, a private grant making foundation, undertook the renovation of these two buildings, one of which has been unoccupied since its fire in 1979, and the other having its second floor condemned since the 1960’s. Today, after one hundred years of standing, the building is back to being the cornerstone of Historic Downtown Winter Garden. With a mix of retail and office space, we welcome it back to being a productive part of our thriving historic district.